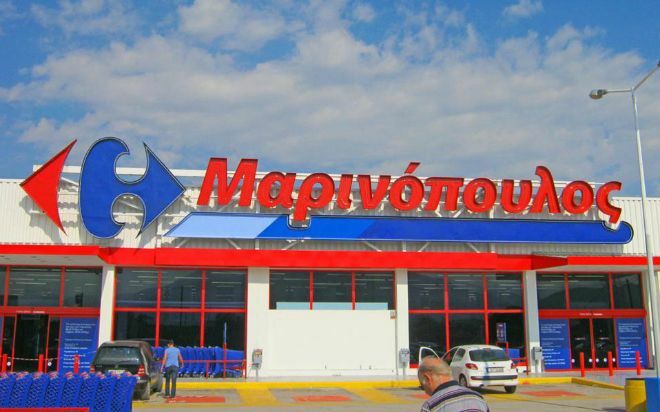 The day has come where all of the Marinopoulos super markets will become Sklavenitis super markets as part of the private legal agreement which is meant to save Marinopoulos’ chain from closure. The details of the agreement, which have taken more than five months to implement since the initial announcement of the plan to transfer the store, involve much more than just a change of signage. This Wednesday will commence the transfer of control of the Marinopoulos stores to the Sklavenitis group which signals the final step in the transfer agreement, allowing new funding from banks as well as the Sklaventitis group to save the financially crippled company. Banks have extended a credit line of 352 million euros to be disbursed by the end of the month and Sklavenitis has pledged 125 million euros.